Despite massive spending each year on Maritime Surveillance, maritime defense and security forces are still under-resourced to effectively control territorial borders, reduce illegal trafficking, eliminate illegal fishing, and monitor marine protected areas (MPAs). 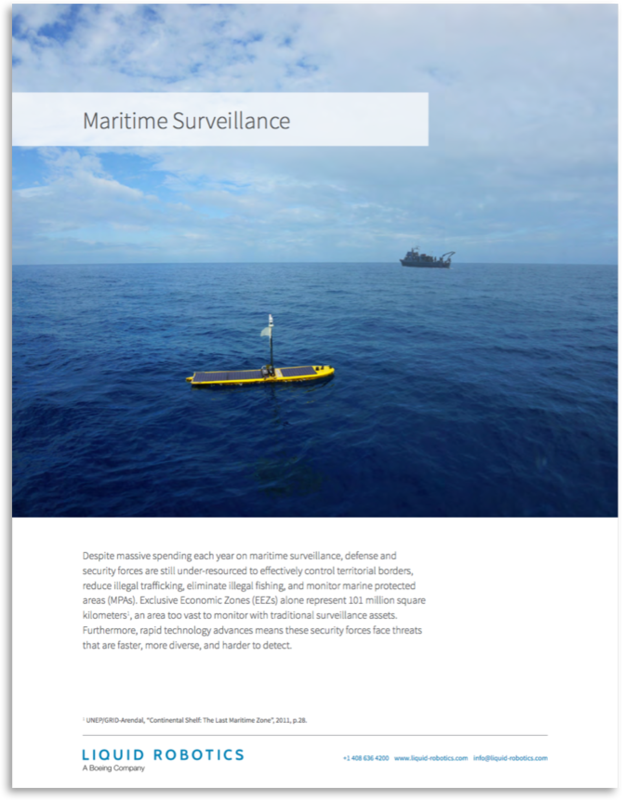 Unmanned surface vehicles (USVs) called Wave Gliders, powered by waves and sun, provide a low cost, mobile platform for 24×7 long-duration ocean surveillance. Get this application brief to learn more about how Wave Gliders can help you.